O look! It's back! After a mini hiatus Any Size is back with a new trend, slightly new banner design and a new time schedule as well. 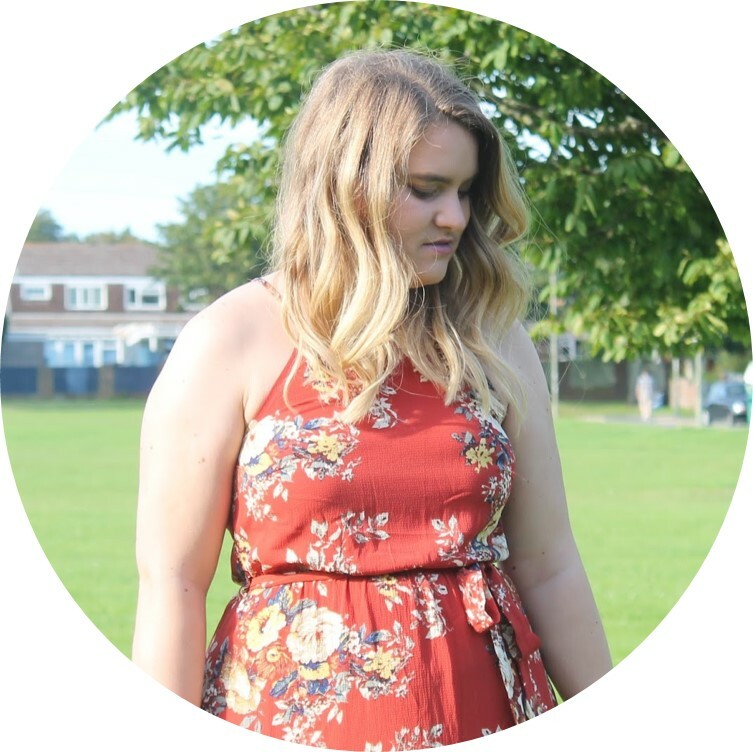 Every week was beginning to get a bit stressful, trying to organise bloggers every week etc. So it'll now be every other Friday. With her tiny frame this skirt and crop top combo really show her off her figure and show a more night time way to sport this tartan look. I love the colours of this tartan dress, making it a bit different from the norm. It's a large sized dress, so looks bigger than a 10 but really cute as well. Again, different colours to the usual tartan and i love how shes styled it with the colour pop cardie. This dress really compliments her figure, really love this daytime look. Coming up I have Any Size: Birds... Am in need of a size 12 and 14 so if you can give me a shout over on twitter (@topazandmay). If you want to take part in any at all, give me a shout there too! Also don't forget to enter my September Giveaway here ... You could win Mac, Essie and Maybelline! 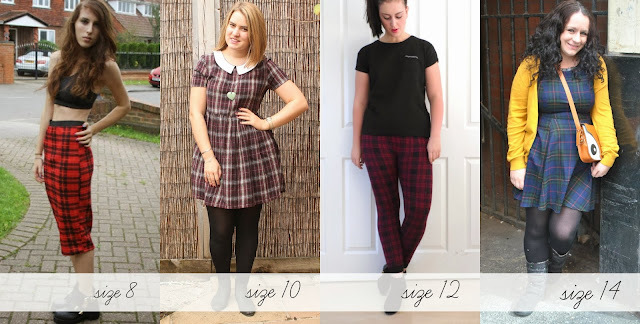 How would you style your tartan?